“It is a deep river. It is a river that is not shallow, but deep, with an “O the depth!” (Rom 11:33). “I will make their waters deep, saith God” (Eze 32:14). And again, they “have drunk of the deep waters” (Eze 34:18). A river of water of life is much, but a deep river is more. Why, soul-sick sinner, sin-sick sinner, thou that art sick of that disease that nothing can cure but a potion of this river of the water of life, here is a river for thee, a deep river for thee. Those that at first are coming to God by Christ for life, are of nothing so inquisitive as of whether there is grace enough in him to save them. But, for their comfort, here is abundance, abundance of grace, a river, a deep river of the water of life, for them to drink of.” – Bunyan, J. (2006). Vol. 3: The Water of Life, p. 542. 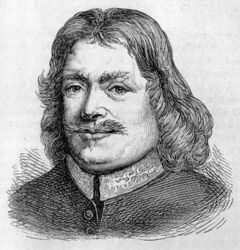 Oh Bunyan, you stir my heart so! Moreover, the gospel that you speak of stirs my heart with deep longings of knowing Christ more! The abundance of this river of life that you speak of is one of grace and mercy and love that I want to experience! Bunyan speaks truth. When we drink deeply of all that the world has to offer, our hearts become dry and barren. Yet when we drink from Christ, a rushing river flows out of us, one that never runs dry and always produces fruit. Amen!